Pluralsight Inc is a technology learning platform that helps solve problems and develop skills that scale. 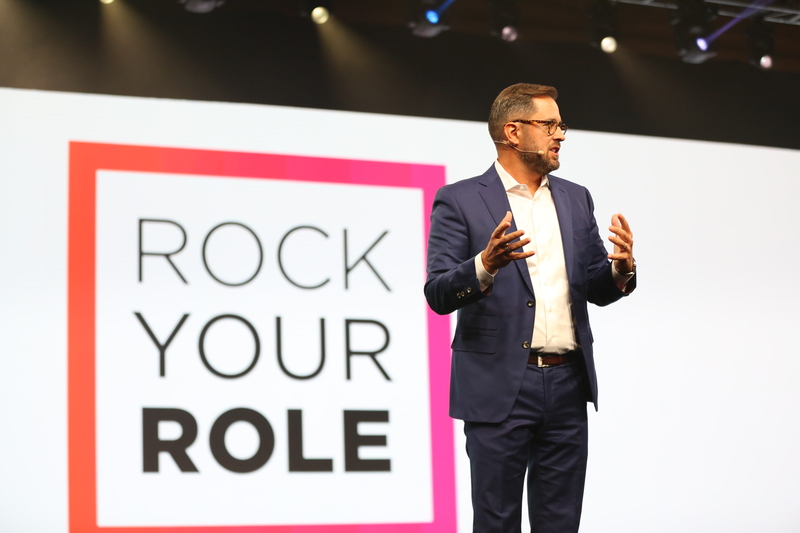 During the recent PluralsightLIVE conference in Salt Lake City, Utah, I had the opportunity to meet and speak with Aaron Skonnard, CEO and co-founder, Pluralsight Inc.
Democracy and technology skills being mentioned in same sentence are not usually words I would expect to hear at most tech events. His executive team is currently working to formalise and officially declare these goals, not just within his own organisation but to the world. Doing this he believes will ensure that everyone is committed to creating diversity across the entire company. People will have a clear understanding of exactly what it means and they will be accountable for its implementation. He wants to ‘lead the charge’ and learn from other organisations who have successfully embraced it. Aaron’s focus and mission on diversity extends to users of the Pluralsight’s platform and products globally. Diversity fosters inclusiveness and democracy within the tech industry, which are important elements of Plurasight’s values and mission. Users can get free credentials and begin to create careers for themselves through using the company’s Skills IQ and Roll IQ online tools. He was very excited that Malala Yousafzai was attending the conference and to have the chance to speak with her. You can read about it here Malala Yousafzai shares her story and PluralsightLive 2018. I then asked Aaron to tell me about his plans for Pluralsight’s Dublin office and how he selected it as a location. Aaron Skonnard is definitely a leader with a clear vision and mission to democratize technology. He is systematic in his approach to researching, creating, executing and achieving his goals. For an industry that needs diversity and inclusion so badly, he is definitely the man for the job. I’m excited that he’s chosen Dublin as his EMEIA headquaters and that the company is committed to be here for the long haul. (For more information about the company’s plans for Dublin click here).